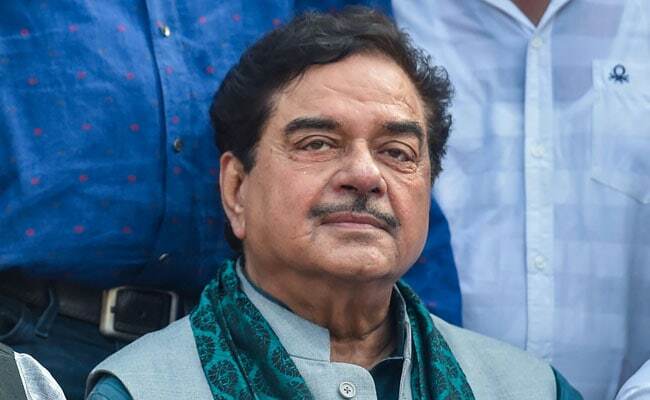 Shatrughan Sinha, the BJP's in-house critic, on Thursday launched a scathing attack on Prime Minister Narendra Modi over his address to 25 lakh security guards yesterday, as he said that the country would be reminded of "unanswered questions" if the PM got defensive on his "chowkidar (watchman)" campaign. Referring to PM as "sirji", he claimed the living conditions of security guards were not desirable. "Happy Holi to you, Sirji. Once again I'll remind you politely but firmly that don't get into the sting of the operations of #Chowkidar. The more you are defensive of Chowkidar, the more the Nation will be reminded of unanswered questions & the Rafale deal which people have been very desperate to know(sic)," he tweeted. PM Modi last week launched the "Main Bhi Chowkidar" campaign on social media. He also prefixed "Chowkidar" before his title on Twitter. Within an hour, his party chief Amit Shah and a number of union and state ministers followed suit. On Wednesday, PM Modi interacted with 25 lakh "chowkidars" or security guards and "apologised" to the group for the "chowkidar chor hai (the watchman is a thief)" phrase often used by Congress president Rahul Gandhi to target him on the Rafale jet deal. Mr Sinha slammed him for the comment. Shatrughan Sinha may contest next month's national election from his Bihar seat, but as a candidate of the rival Congress party. Mr Sinha had won the 2014 general election from Patna Sahib on the BJP's ticket, but had a fallout with the party's leadership after being sidelined. He has been attacking the party on a host issues, including the Rafale jet deal. Union Minister Ravi Shankar Prasad will be the BJP's candidate from the Patna Sahib constituency.